Khadi is an exclusive Indian textile, purely hand-spun and hand-woven from natural cotton using the traditional and manually operated spinning wheel called the ‘CHARKHA’. This process gives Khadi an extra ordinary texture and finish that cannot be found in any artificially made fibers. The small weaving errors give it the particular Khadi charm. In India, Khadi is not just a cloth, it is a whole movement started by Mohandas Karamchand Gandhi. The hand-spun cotton, known as Khadi is of special significance to Indians. Gandhi elevated the fragile thread of cotton to a symbol of strength and self-sufficiency and to provide employment for millions during India’s freedom struggle and that symbolism of cloth made by human hands has continued till this day. Khadi is an alternative lifestyle in tune with the rhythm of nature. The Khadi industry is totally non-polluting and does not recklessly destroy natural resources both in terms of raw material and energy. It gives employment to millions of men and women of today’s rural India. The cover of this journal is made with hand-spun Khadi fabric and the pages are made from recycled cotton rags and jute fiber. 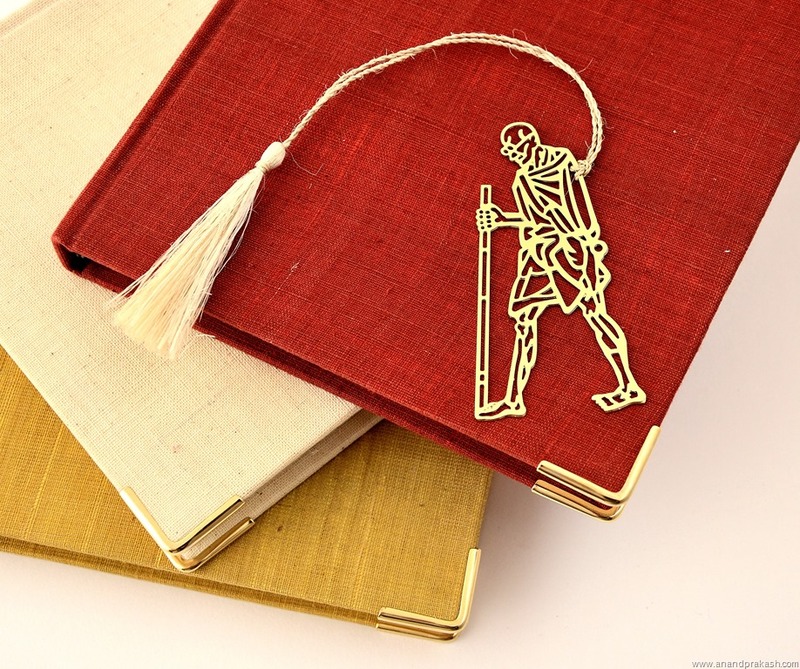 Each journal comes with an intricate Gandhi bookmark. 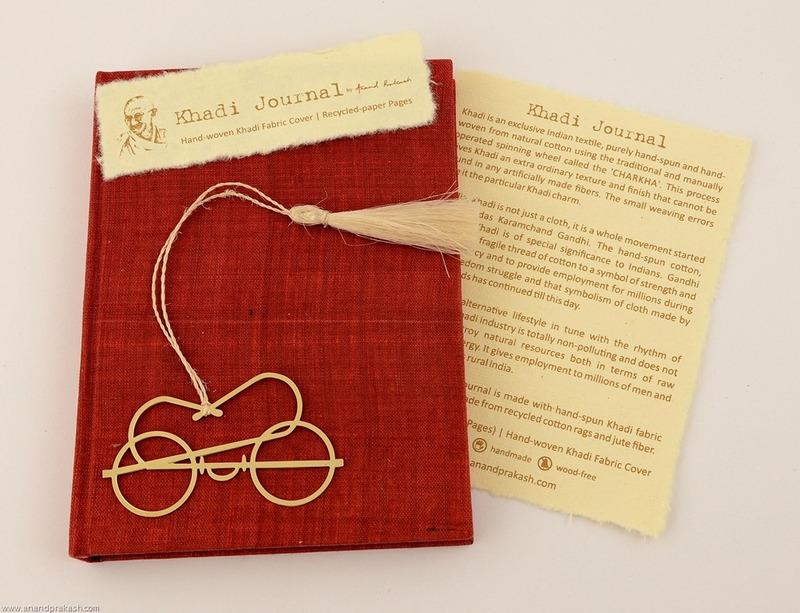 This entry was posted in Whats New and tagged Anand Prakash, handmade paper, Journal, Khadi, Mahatma Gandhi. Bookmark the permalink. A great set of items.